If you would like to arrange car transfers to/from the airport, please let us know by e-mail; reservations@parkhotelamsterdam.nl. Costs of the transfer depends on the type of transfer you would like. Our cancellation policy requires all amendments and cancellations to be finalised by 6pm local time the day prior to the arrival date (24 hours). Any changes following this time will result in cancellation charges. Promotional rates and hot deal rates have different cancellation policies. Park Hotel offers in-house parking facilities for hotel guests. Parking facilities are charged and subject to availability upon arrival. Parking is available 24 hours a day. Overnight car parking is €65.00. The hourly rate is €6,00. Besides our private parking facilities guests can also park in QPark ‘Byzanthium’ situated 300m from the hotel. Valet Parking upon request. All reservation for children between 0 and 12 years can only be booked in a triple room / Junior suite. Baby cot, on request only, will be put in the room free of charge, for children from 0 – 3 years old. children between 6 and 12 years pay 50% of the breakfast which means € 12 is to be paid on departure. All reservations including a child in the room can only be made on request. A third person will be accommodated in a roll-a-way bed. All reservations including a child in the room can only be made on request. Different room type and rate will apply. Should you wish to send an item by mail or by courier, please contact the service desk. Please note that the security deposit is €50,- per night if paid with credit card. When paid by cash it is €100,- per night. Payment of the deposit needs to be done upon check-in. This amount will be refunded upon check-out provided that no damages are made. Our hotel doctor is available 24 hours a day. Contact the service desk to call out the doctor or for further details of other medical facilities. Dry cleaning and laundry services is available in the hotel. Please ask our porters or the service desk to assist you. 220v. Please ask the service desk if you need an adapter. Please ask our service desk to assist you in any way. Most foreign currencies and travellers cheques can be exchanged at the service desk at any time. Please ask our service desk to make a reservation at our on site hairdresser. In every room and suite. Park Hotel provides it’s guest with specially chosen bathroom and spa amenities by DEAD CLEAN. Please contact our service desk via the operator and the guest service manager will assist you. Service desk has maps to help you find your way around Amsterdam. There is a fully stocked minibar in every newly renovated Superior room, Executive room, Junior suite, Business suites and Split-level loft suites. Please let our reservation department know which preference you have. Hobbemastraat or the Leidse plein. Amsterdam central station. Only 10 minutes by tram. Wouldn’t it be great to have your regular newspaper during your time away from home? About 100 different newspapers of different languages are available at a cost of € 5,-. Please let us know which newspaper you would like and we make sure that we deliver it every morning to your door. We regret to announce that pets are not allowed. Park Hotel has a number of guest bedrooms that have been modified for guests with special needs. Please let our reservations department know what your needs are. Private transfers can be arranged by the hotel. Please let our reservation department know what your transfer wishes are. Rates approximately € 65,- one way. You will be welcomed at the arrivals gate. Park Hotel has 24 hour room service. Each room and suite has an electronic private safe. Secretarial service can be organised through the service desk. Please give prior notice. Guest security is a priority at Park Hotel. There is a comprehensive security system in place as well as a highly advanced computerised fire alarm system. 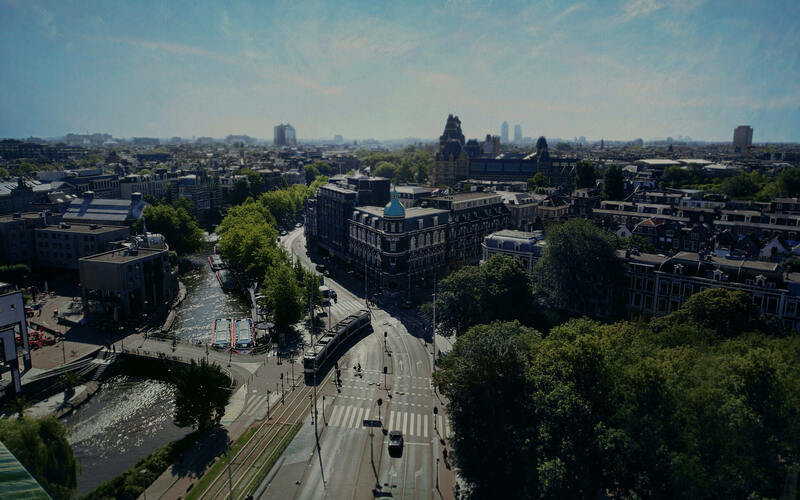 Our service agents are delighted to provide you with advice and information on things to see and do in Amsterdam during your stay, or assist you with any arrangements including restaurant reservations, car rental or organising tickets for the canal cruises and Museums in Amsterdam. Feel free to call or visit the service desk at any time during your stay at the Park Hotel. Please reserve your shuttle at the service desk at least 2 hours prior to departure. Costs involved are € 12,50 (subject to change) Pick up is just outside the hotel. Ask our service desk to assist you in anyway you can. There are smoke alarms throughout the hotel. Contact the service desk to set up an automated call on your telephone or via television.